Downtown Frederick is a favorite destination when my husband and I want a day trip that feels like a vacation. We enjoy browsing through the many independent shops brimming over with antiques, art, household items, comestibles, and clothing. Actually… shopping for clothing is probably just my idea of fun… but it does give my husband an opportunity to take a few turns on “Words with Friends” while I hit the dressing room. We share an enthusiasm for dining in Frederick. Volt is always an exciting dining destination for us. 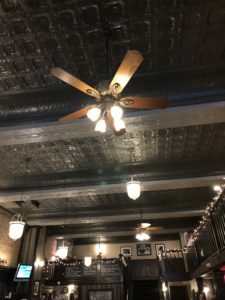 We have also enjoyed meals at The Wine Market, Tasting Room, and Isabella’s Taverna and Tapas Bar, which represent just a few of Frederick’s extensive culinary offerings. Frederick Restaurant Week is now in progress, and it’s the perfect time to take advantage of special offers at these restaurants and more. I recently visited five participants in the promotion, sampling a dish from the Restaurant Week menu at each venue. The experience did more than fill me up with great food. I came to the realization that driving to Frederick takes me roughly the same amount of time as it does to drive to DC. This means that Frederick will be seeing a lot more of me. Here is why you should head to Frederick this week. This seasonally-focused American bistro showcases ingredients which are thoughtfully sourced to take advantage of local farms and purveyors. The attention to detail is evident, from the plating to the creative ingredient pairings. The Wine Kitchen has Restaurant Week options for lunch, dinner, and Sunday brunch, including a three-course dinner for $35. Entrees include grilled swordfish, dry-aged Roseda Farm burger, hanger steak, or butternut squash steak. 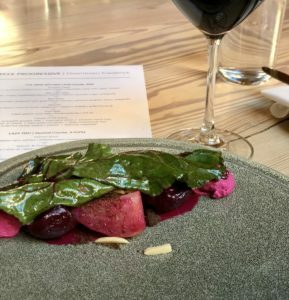 Pictured: Beet salad with beet curd, chocolate cardamom soil, and goat cheese mousse. 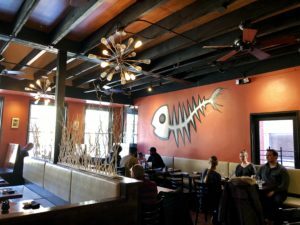 Lazy Fish offers Asian fusion cuisine in a casual and fun setting. The Restaurant Week offering is a three-course dinner for $30. 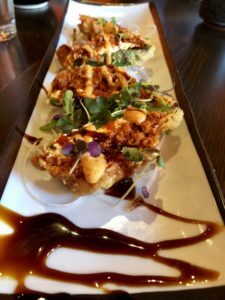 Appetizers include seared Cajun salmon with sriracha mayo; salmon and octopus carpaccio; calamari; and (pictured) tempura tuna poppers with spicy tuna, jalapeno, cream cheese, eel sauce, spicy mayo, and sriracha. Main course offerings include beef bulgogi, chicken teriyaki, and a combination of sushi rolls. JoJo’s Restaurant & Tap House features an extensive menu of American food with international accents. The adjoining Tap House offers 26 beers on tap, as well as a full bar. The restaurant is offering lunch and dinner for Restaurant Week- with 2-courses for $23 and 3-courses for $30. 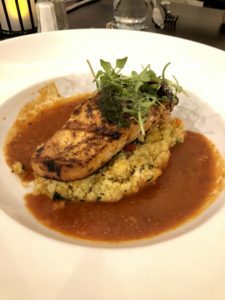 Main course offerings include meatball marinara; chicken and andouille sausage cassoulet; spice grilled salmon; pepper steak; and foie gras burgers. The portions are generous at JoJos, the service is attentive, and supplementing food with an on-tap beer is highly recommended. Firestone’s Culinary Tavern & Raw Bar is located in a fabulous 1920’s-era building that once served as a department store. For Restaurant Week, Firestone’s is serving a two-course lunch menu for $20 and a three-course dinner for $40. The dinner options include a choice of three appetizers, and three mains including steak; shrimp and spaghetti aglio olio; or parmesan garlic gnocchi. There are three desserts to choose from, and after sampling all three, I must confess that it’s impossible to pick a favorite. Pictured: chocolate terrine with crème anglaise and strawberry coulis; baked apple cobbler with whiskey ice cream; and almond crème brulee. VOLT offers sophisticated elegance and exceptional service. The setting is a beautiful 19th Century brownstone mansion, and the menu features classic flavor combinations prepared with fresh ingredients, from Executive Chef Bryan Voltaggio (you may know him from Bravo’s Top Chef). The restaurant is offering a 3-course brunch for $30 or a 3-course dinner for $40. Dinner options include fluke with lemon, capers, and brown butter; pork belly with white beans, leeks and red wine; and roasted chicken with potato puree, carrots, and pickled onions. 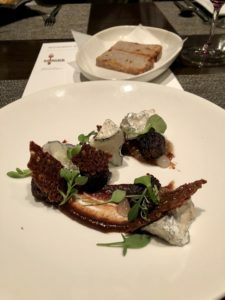 Desserts include peanut butter cremeux with caramelized white chocolate, concord grape and rosemary; chocolate with passion fruit, coconut and basil; and (pictured) an elegant cheese plate with Monocacy ash goat cheese, walnut, fig jam, and honey. Make your reservations at any of these venues, or many others, today. Frederick Restaurant Week runs from March 5-11. More details on Frederick Restaurant Week here. See you on the streets – or in the restaurants- of Frederick! During Frederick Restaurant Week, lunches and dinners are offered at various special prices. All costs are exclusive of tax, beverages and gratuity. Reservations are strongly recommended. For more information on Frederick restaurants and things to do, go to the Visit Frederick website.